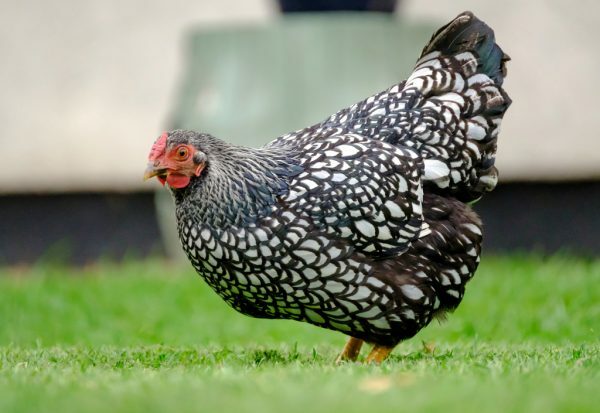 One of the most beautiful, stately breeds, the Silver-Laced Wyandotte is a moderate layer of light brown eggs. 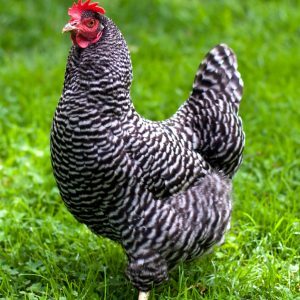 I originally raised Silver-Laced Wyandottes for my daughter-in-law who wanted a pretty chicken that would lay well and be docile enough for the grandchildren to collect the eggs from. They are friendly – but not cuddly. 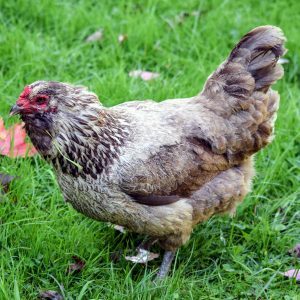 These are the original Wyandotte, and the feathering is a shiny black with a green sheen. Each feather is then edged in a contrasting white. 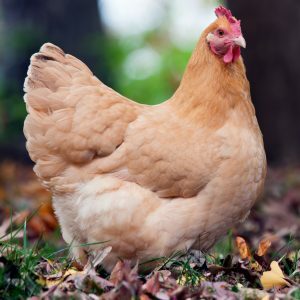 They lay around 200 light brown eggs a year. 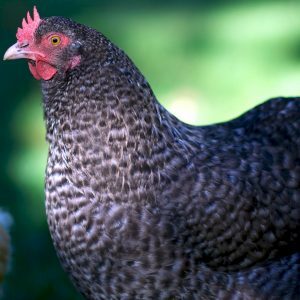 Silver-Laced Wyandottes were on the ALBC’s “Priority” list until 2016 when backyard chicken lovers had brought the numbers back from its threatened state.